If you’ve had customers who you have done business with for long periods of time and they have bought many of your products, you should reward them for their business by giving them a discount. With the Avery 8873 Template, you can print coupons for your customers to hand out to them whenever they make a purchase or whenever you are making a recommendation to them on the sales floor. The coupons of this template are designed by default to be attached to the back of a business card, but if you wish to print them off as separate coupons, you can do that too. The Avery 8873 template is free to download here and it automatically opens up in Microsoft Office Word, but you do need to enable the macros in order to use it. If you would like to customize the coupon a little bit, here are a few things you can do. 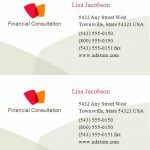 If you’re printing the coupon for the back of your business card, you probably won’t need your company logo, but if you’re going to have a standalone coupon, you should paste a logo onto it. 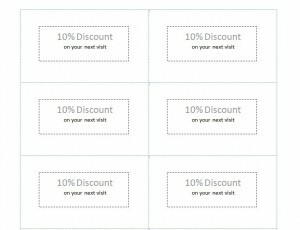 You can change your discount amounts up depending on what kind of discounts you plan to offer. If you want to offer a buy 10 get 1 free discount, you can specify that in the field, or you could offer a package where if you buy one product and get 50% off another product. Have a photo or logo of the product printed out on the coupon as well if you can fit it in. 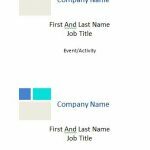 In addition to the usual customizations of the Avery 8873 template, you can also add a few additional features. You may want to print a bar code on your coupon if you want it to be scanned in while making a sales transaction. If the coupon is for a limited time use or a limited time sale, you may want to print an expiration date on it as well. 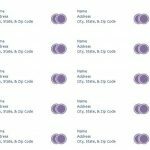 If your customer makes any purchases online, you can have a code printed on the coupon for them to enter into their account.